Five hundred begins it, five hundred ends it, Five in the middle is seen; First of all figures, the first of all letters, Take up their stations between. Join all together, and then you will bring Before you the name of an eminent king. Who am I? 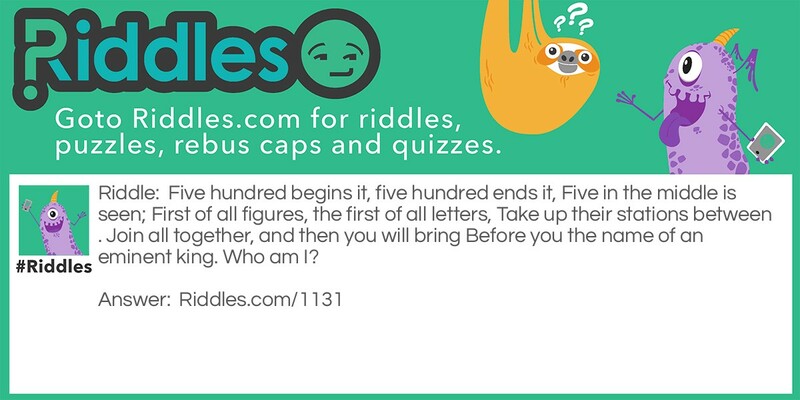 The King Riddle Riddle Meme with riddle and answer page link.